With the temperatures finally dipping this week, I have been more than excited to pull out my coziest knits (seen above). It's the perfect weather where you can layer up, throw on a scarf, but don't quite need a jacket. The weather most fashion bloggers crave. This weekend I'm hoping to spend some quality time with Ashlyn, get some blogging done, and maybe make a batch of my favorite Butternut Squash Soup. Where did you get your scarves? I'm in desperate need of more! Most of my scarves are from H&M, they have so many gorgeous neutral colored and super cozy scarves at the moment! Love, love, love this photo! 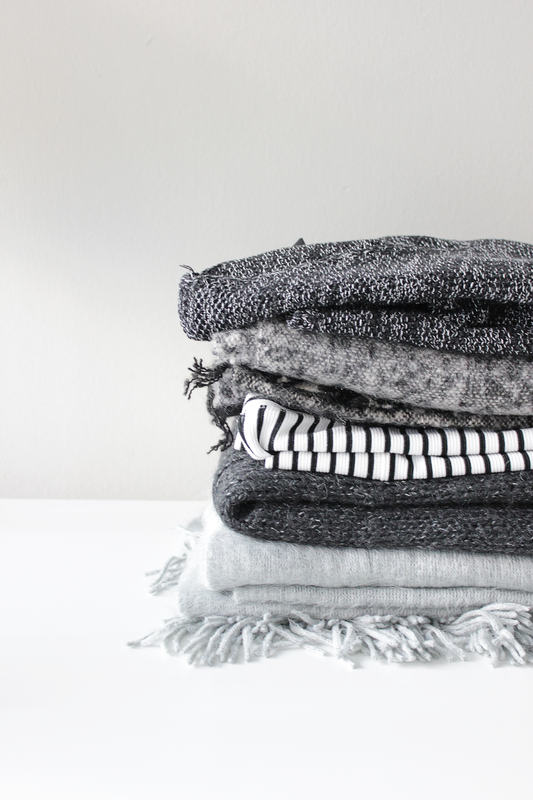 Those knits look soooo cozy and I love whites and greys!